This Continuum was developed as a result of my quest to separate the features of cooperative and collaborative learning process. As a first step in my Research Design study, concerning engineering and facilitating Collaborative Group Learning, the continuum proved a useful tool. 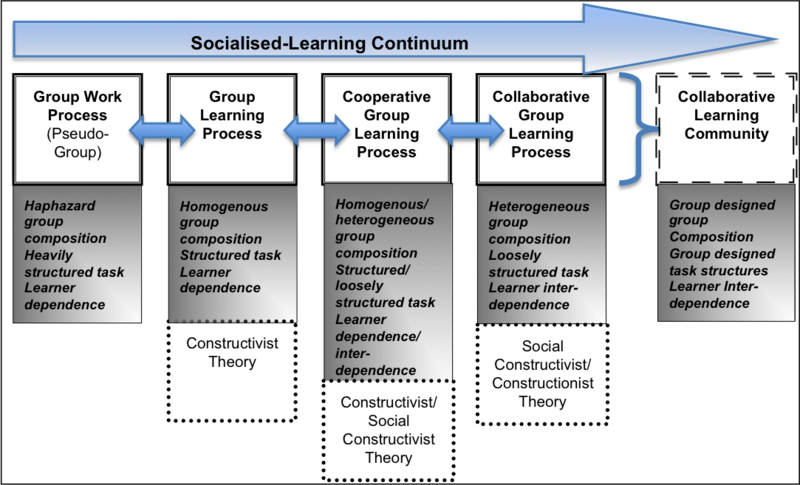 My thinking about Collaborative Group Learning is interactive and evolutionary and as such my conception of a Socialised-Learning Continuum ever changing. I hope to soon post a revised version of the continuum considering elements emerging from theory, practice and empirical research findings.